Kendrapada : The Special Task Force (STF) of Odisha Crime Branch on Friday, grilled two executive engineers for hours in connection with their alleged link with gangster Tito alias Sayed Usman Ali. The detained techies were identified as Nilakanta Senapati of Rural Development department and Bidyabhusan Nayak of Lift Irrigation department of Kendrapada district. According to sources, the cops questioned the duo about the crime syndicate of gangster Tito and about his illegal activities. However, the cops were tight-lipped to disclose anything further. 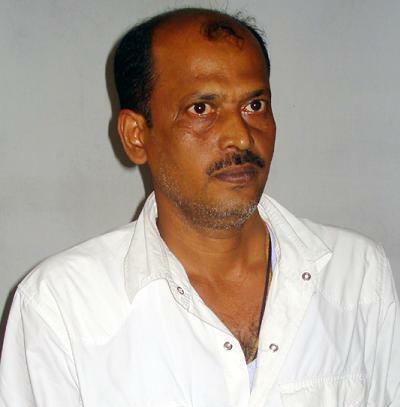 Earlier, on Thursday the STF arrested Batakrushna Pani at Kalinga Bihar for his alleged link with Tito. The cops had also unearthed an illegal cattle smuggling racket allegedly being run by him in connivance with gangster Tito. Give Responses for "Gangster Tito links: Two techies grilled by STF"